The Ili pika only grows up to 20.5 centimeters in length and weighs between 215 ounces and 250 ounces, which is a small fraction of the weight of a child. When Li first discovered the Ili pika, he had no idea what he had found. He asked people from his own town if they knew what the animal was, but they also had no idea. 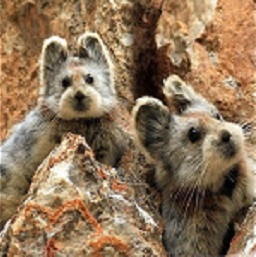 Two years later, Li found two other Ili pikas and declared them a new species. In 2002 and 2003, Li and a group of volunteers went to search for more Ili pikas but found out that their population was declining by studying their footprints in the snow. In 2008, it was put on the endangered species list. There are fewer than 1,000 of them in the wild. Ili pikas may seem magical, but it may take more than a little magic to keep them from disappearing from the planet.